I’ve realized that in the midst of writing opinion articles, the world doesn’t stop turning. Yet another disaster has taken place in the short time we’ve had to enjoy this New Year. Tragically, a hospital collapsed, among many other buildings after a magnitude 7 earthquake hit the destitute nation of Haiti. Raymond Joseph, an ambassador to Haiti, told CNN “The only thing I can do now is pray and hope for the best.” Little is known at this time as to the magnitude of the damage. However, it has been declared “a catastrophe of major proportions,” according to one Haitian government official. Portau-Prince, the location of the latest catastrophic earthquake. 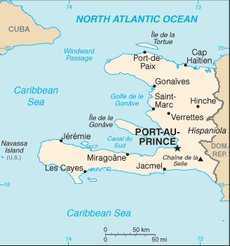 According to the United States Geological Survey (USGS,) the quake was centered approximately 10 miles west of Haiti’s capital city, Port-au-Prince. They also reported the quake was pinpointed five miles below the Earth’s surface and released two aftershocks.